Learn from the pros and kick start your modeling career! 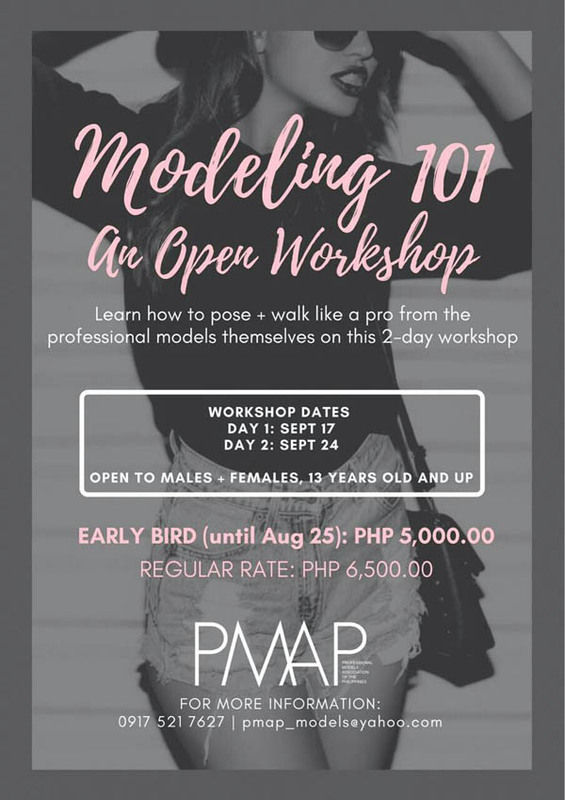 The Professional Models Association of the Philippines will open its workshops to the public for the first time in 30 years. This is your chance to learn how to own the runway and pose for the camera from the top models themselves. This could even be your chance to get scouted by the Philippines’ esteemed association–home of fashion icons, top models and beauty queens for the last 30 years. Learn. Pose. Walk. Be Spotted.